In 2005 MAN was able to meet the needs of the first customers demanding traction from the front axle at the “touch of a button”: With MAN HydroDrive, MAN was the first to bridge a gap in the market for those customers who drive largely on roads, but in some situations require additional traction from the front axle without having to purchase an all-wheel drive truck. MAN has been the only player in this market for virtually ten years and can therefore call on extensive technical experience. Vehicles often operate as fire service vehicles, refuse collectors, construction vehicles and tankers – all of which need to respond in a timely manner even in adverse weather conditions and on mountainous terrain. They may also be working on unsurfaced forest tracks as timber transporters. Steering on a slippery surface also becomes more difficult when a fully-laden truck pushes over the non-driven front wheels. A traditional selectable all-wheel drive is what is required here. But is it really necessary to equip all vehicles with all-wheel drive when they are operated mainly on tarmac? MAN has an easy solution to this question in the form of the HydroDrive: It provides additional traction and safety but doesn’t need a transfer case, a front-axle differential or a front drive shaft. This helps to save fuel and decrease CO2 emissions day in day, out. 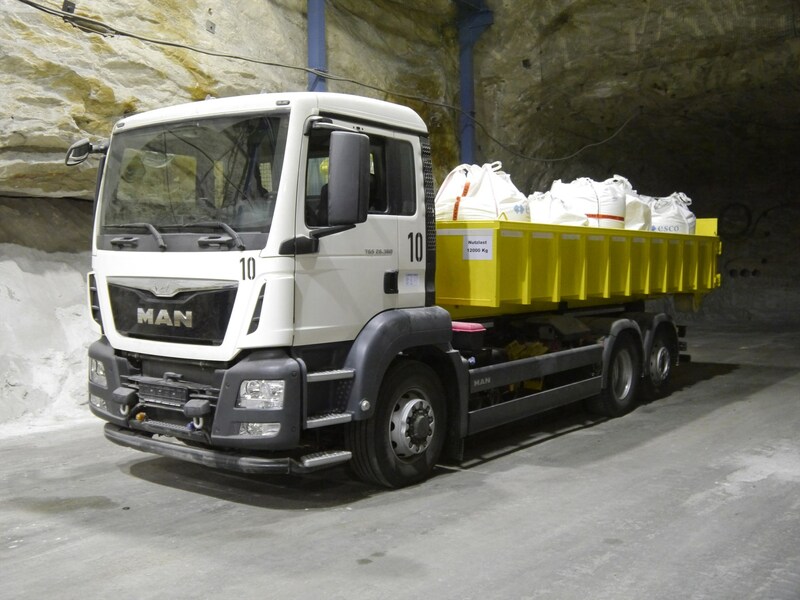 MAN HydroDrive drives the front axles using a hydrostatic motor on each wheel. This is fed by a hydraulic pump with pressure of up to 420 bar. The drive can be engaged by simply turning a rotary switch, both while driving and under load – the driver can thus master gradients safely without having to stop. The additional traction is also available in reverse and when coasting. On the one hand, this increases the brake output of the continuous braking systems – in particular of the MAN PriTarder. On the other hand, it significantly improves the vehicle’s manoeuvrability on slippery surfaces and therefore driving safety.